Rosie started her piano studies for fun at age of six. 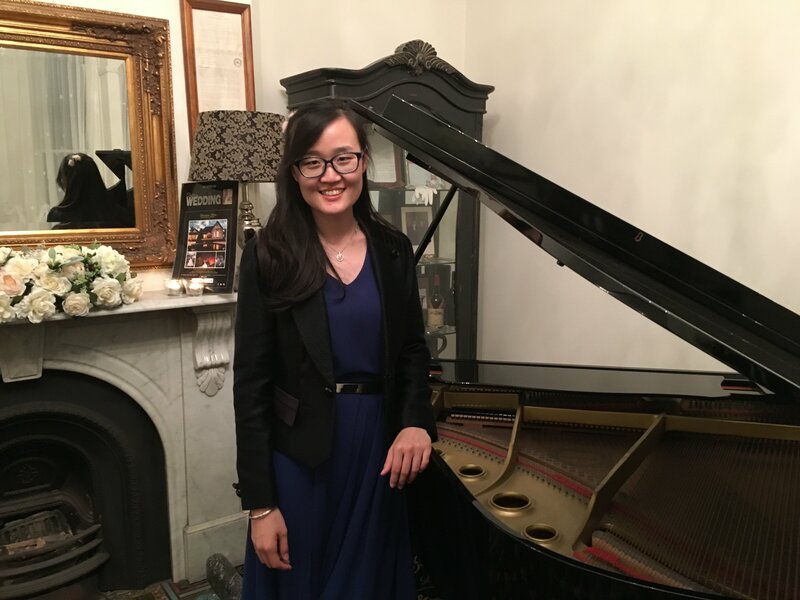 She started her professional piano study when she was 13 and passed Grade 9 within two years in China. During that time she attended several performances and did opening performances for her piano school yearly concerts. She also did a lot of performances during her university and did accompaniment for the school’s singing group. Rosie graduated with a Bachelor of teaching degree and is currently studying for a master of teaching degree to further develop her teaching skills with adolescents. Rosie achieved a high result in Certificate of Performance in 2018 and is taking piano lessons with Illya Zozulya to complete A.Mus. She has completed the European Piano Academy’s piano teaching course developed by Illya. She focuses on helping all her students develop their skills in a balanced manner, not only Technique but also mental and emotional sides of piano playing. Rosie currently offers piano lessons in her own studio in Kellyville on a professional grand piano. She teaches students of all ages from beginners to AMEB Grade 8, piano for leisure or for fun. Kellyville, North Kellyville, Kellyville Ridge, BeaumontHills, The Ponds, Rouse Hill, Glenhaven, Dural, Kenthurst, Castle Hill, West Pennant Hills, Cherrybrook, BellaVista, Stanhope Gardens, Glenwood, Parklea, Baulkham Hills, North Rocks.